Every year, the NIU Alumni Association recognizes 10 alumni for their professional accomplishments. The 2017 alumni award recipients recognized at the Thursday, May 4, banquet included Mary P. Haynes, who earned her B.S. in Family Child Studies in 2012 and her M.S.Ed. in Adult and Higher Education in 2014. After completing her master’s degree at NIU, Mary Haynes worked as an academic adviser at Waubonsee Community College before joining the College of Lake County two years ago as an academic success coach. Haynes has a reputation for positively impacting students’ lives at CLC. In her role as a success coach, Haynes communicates with more than 500 students enrolled in developmental education classes. She works closely with 20 faculty members to receive early alert notifications, follows up with student concerns and provides proactive, hands-on support for 300 students in her caseload. She acts as a cheerleader, motivator and problem solver to assist students with time management, goal setting, financial aid, building confidence and campus involvement. While at NIU, Haynes interned at the DeKalb County Youth Service Bureau, worked in the Career Resource Center and Community Standards and Student Conduct offices, was a graduate assistant in Housing and Dining and worked as an academic adviser in the College of Engineering and Engineering Technology. Beyond her day-to-day work as an academic coach, Haynes is an adviser for CLC’s Sister 2 Sister student organization. S2S supports the personal, academic and professional success of women at CLC, with an emphasis on students of color. Haynes has taken on leadership roles to plan major organization events, create a recruitment and application plan and meet individually with students to ensure their success. 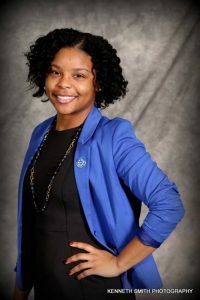 Haynes is active with the Chicago Area Advisor Network, the National Association of Student Personnel Administrators and the Zeta Phi Beta Sorority.